Congratulations to Jackson HS student Daisy Diaz, Online HS’s February Student of the Month. 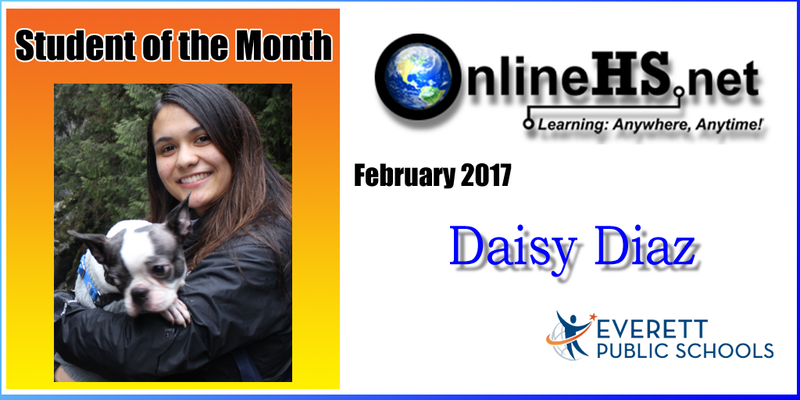 Daisy is an exceptional on-line learner, working hard to consistently meet deadlines and grow as a learner. She reaches out to teachers with questions about assignments and uses feedback to improve her skills. I am a successful on-line learner, because I am given the opportunity to log in whenever I feel ready to learn. This allows me to get the rest I need and feel energetic enough to retain new information.